M/s Nirmal Overseas Ltd., a premier engineering company based at Delhi/NCR is manufacturing complete machines on Trunkey basis for Galvanized steel tube and pipes, API Pipes Up to 20” NB Size. Nirmal was established in 1983 and was the first company in India who started to manufacture wide range of HF / RF Tube Welders and Induction Heaters and Entered with into technical collaboration with M/s Alientech Ltd., U.K. These Welders are available in output powers from 60 kW to 1000 kW at a standard frequency of 250-500 kHz. Nirmal has supplied more than 1500 HF / RF Tube Welders to the Domestic and International Market and captured 90% of the Indian Market. And after the grand success in Vacuum Tube Welder, Nirmal started to make Solid State Welders Capacity Up to 1000KW in terms to save the energy more than 25% comparing to the Vacuum tube welder. Through Continuous Research and development Nirmal started to manufacture complete Trunkey projects for Galvanized steel tube and pipes, API Pipes Up to 20” NB Size and further to develop the Technology Nirmal purchased the Design & Drawings from M/s Mannesman Demag, Germany. 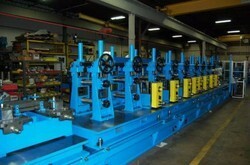 for Manufacturing Tube Mills. 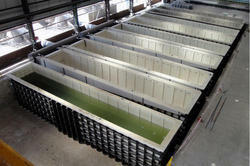 Nirmal is Equipped with latest plant and machineries facilities to meet out the International Standard and quality. Nirmal Executed several Projects on Turnkey basis From India to U.A.E, Syria, Sudan, Egypt, Saudi Arabia, Oman,Yemen, Bangladesh, Cameroon, Rwanda, Uganda, Dubai, Nigeria, Nepal etc. Nirmal has been also awarded as a top ten exporter in 1997 by Honorable Prime Minister of India. In order to promote its product and create awareness among the customers, Nirmal participated in the Exhibition Nationally and Internationally. 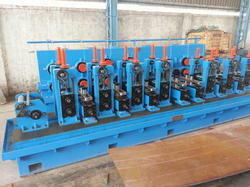 Tube Mill HR/CR (API, ASTM, BS) machines with roll sets. 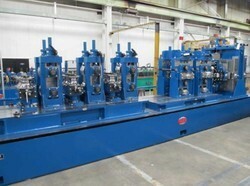 High Pressure Tube Hydro tester For API Pipes. 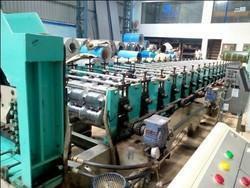 Tube and Pipe Galvanizing Plant. 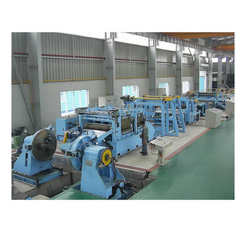 Supply Hot and Cold rolling Mill/ Melting Induction Furnace.